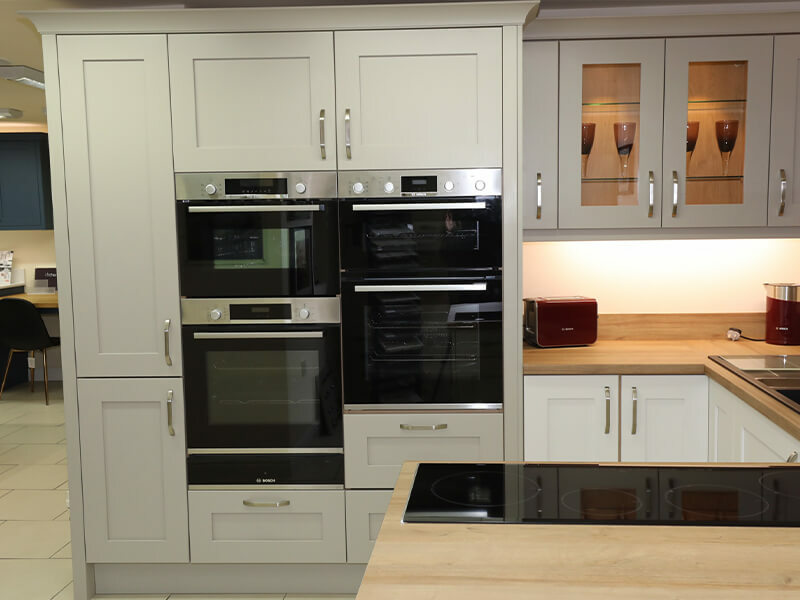 We specialise in Siemens, NEFF and Bosch built-in ovens which are a pleasure right from the kitchen-planning phase. 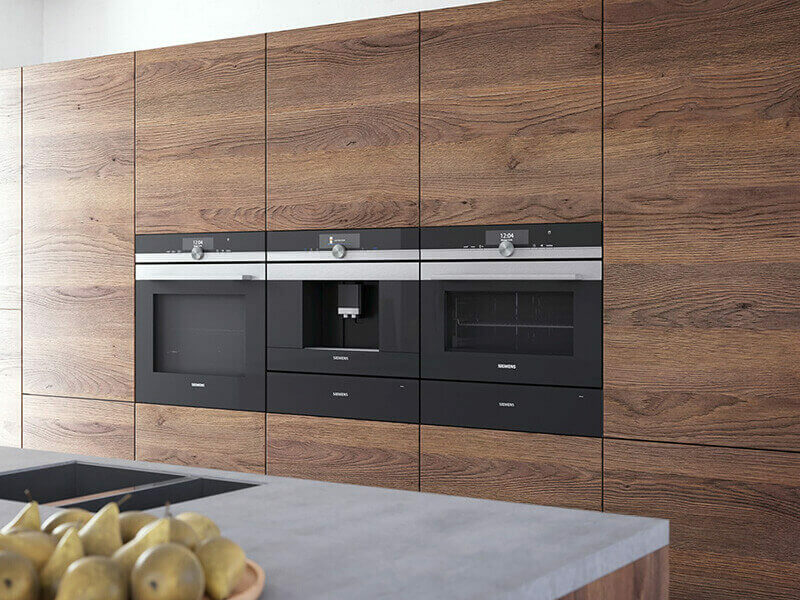 They are not only versatile, but their distinctive high-end design making a strong visual statement. 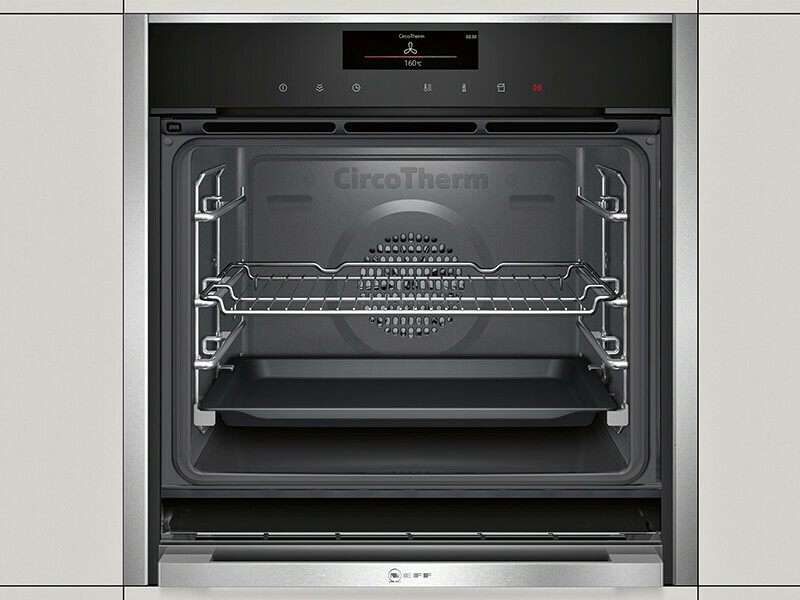 Each model is designed to harmonise with all other models from the range for an ultra-modern look. 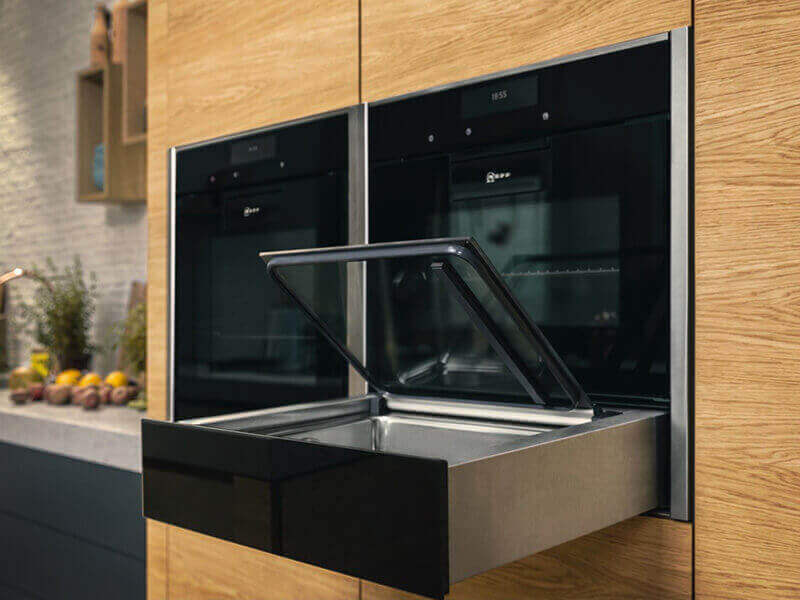 Because they are installed independently of the cooktop, they can fit into a 60 cm-high niche under the work surface or in a tall unit. 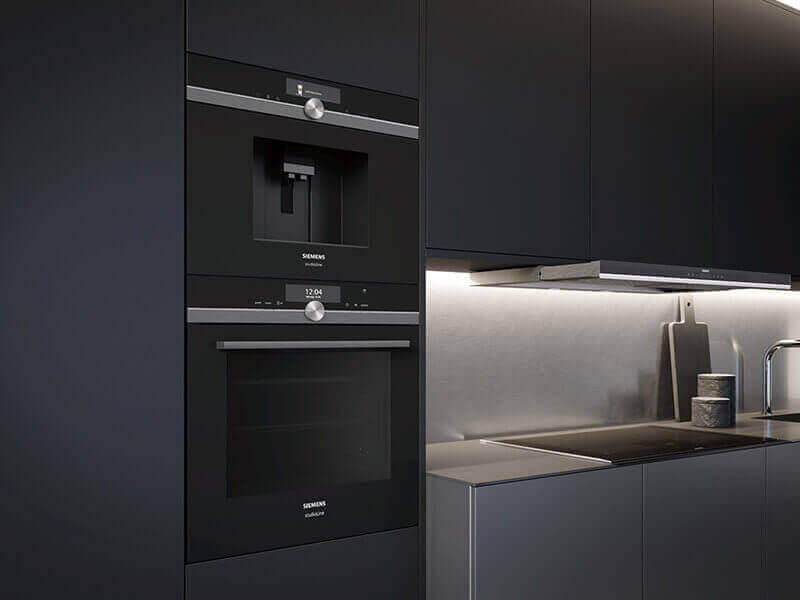 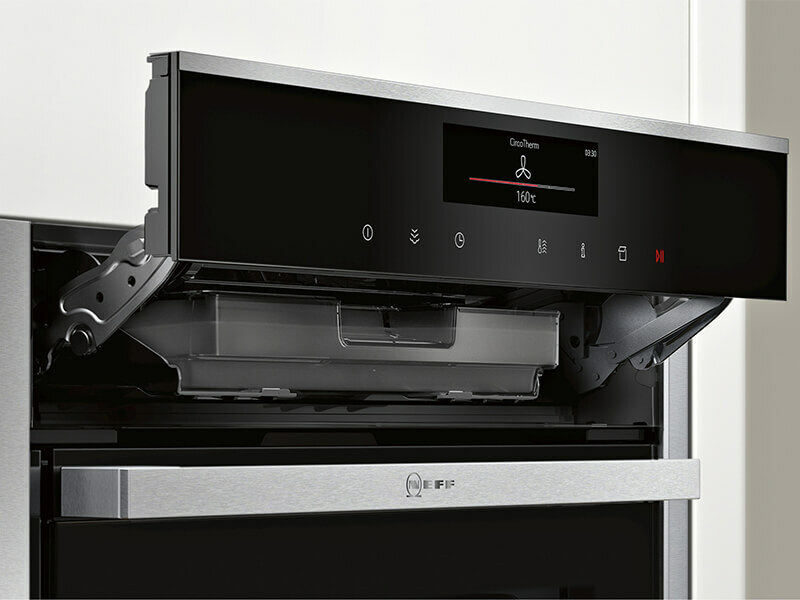 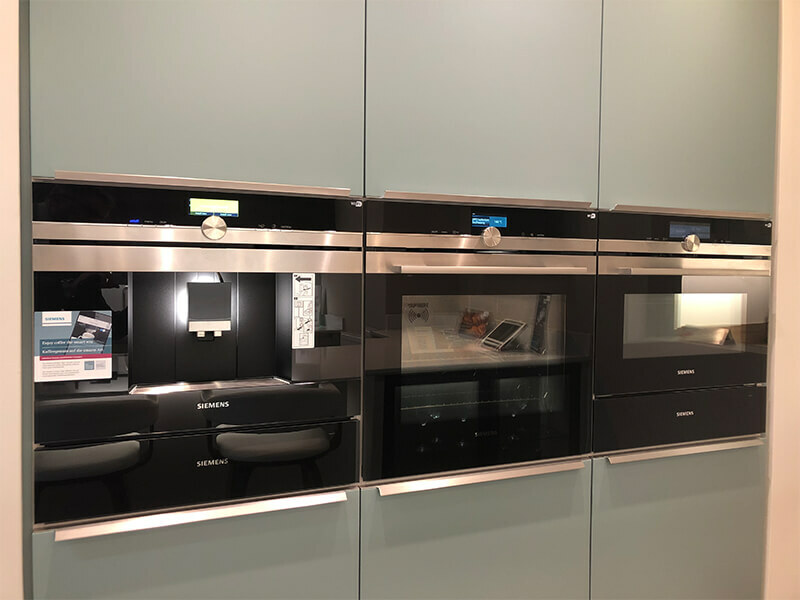 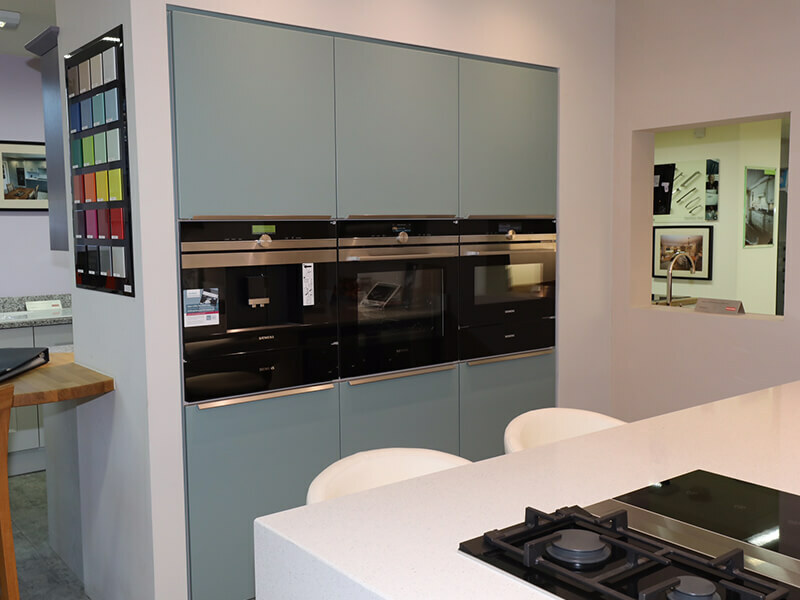 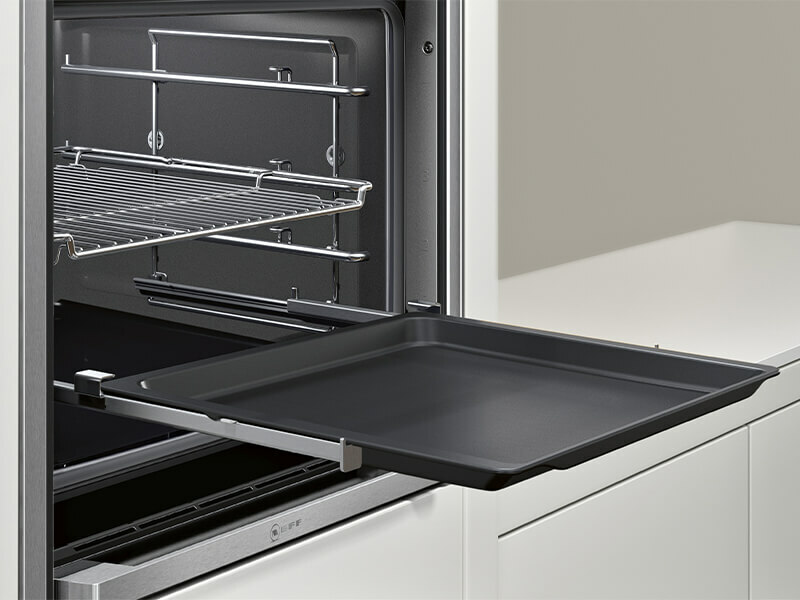 Opt for the popular slide and hide NEFF ovens made more famous on the “Great British Bake Off” now with pyrolitic cleaning or the Siemens full size oven with built in microwave to the Bosch Serie 8 with full TFT touch screen with the iconic wheel and Wi-Fi connectivity. 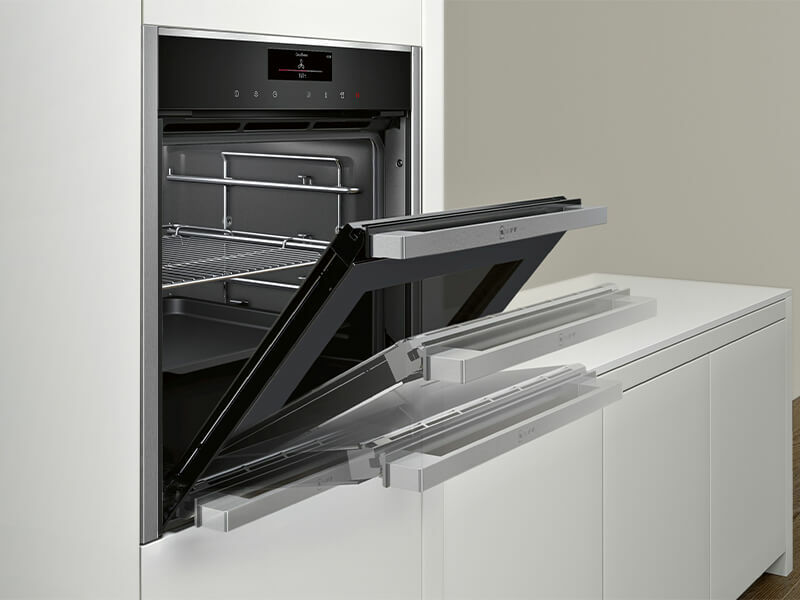 Whatever your requirements we will find the right oven for you.